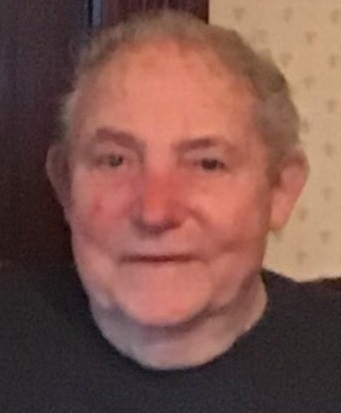 Henry N. Rounds, Jr., 82, a lifelong resident of East Taunton, passed away on Friday, March 22, 2019 at Saint Elizabeth Medical Center in Brighton. He was the husband of the late Carolyn L. (Smith) Rounds. They were married for 48 years prior to her passing away in 2008. Born in East Taunton, he was the son of the late Henry N. Rounds, Sr. and Georgianna (Lemieux) Rounds. Mr. Rounds served his country proudly in the United States Air Force. He worked in the shoe industry all his life and most recently worked as a supervisor at Alden Shoe Company in Middleboro for several years prior to retirement. Henry absolutely loved his yard and home. He enjoyed gardening, beekeeping, and participated in competitive pistol shooting. He was a charter member of the Taunton Rifle & Pistol Club. He leaves his children, Richard N. Rounds, and his wife, Lisa of Pembroke, MA, Lynn A. Crawford, and her husband, Claude, of East Taunton and Lori J. Rounds, and her companion Daniel Lema of East Taunton; a sister, Evelyn Ferreira, of Taunton; a grandson, Spencer Rounds; two step grandchildren, Michael and Gordon Crawford; and many nieces and nephews. Henry was the brother of the late Lucille Clarke and Rita Davenport. Henry’s funeral will be held on Friday, March 29, 2019 at 8:30 am, from the Silva Funeral Home, 80 Broadway, Taunton (at Saint Mary’s Square) followed by a Mass of Christian Burial at 10:00 am, in Holy Family Church, Middleboro Avenue, East Taunton. Interment will be in Saint Joseph Cemetery, Taunton.